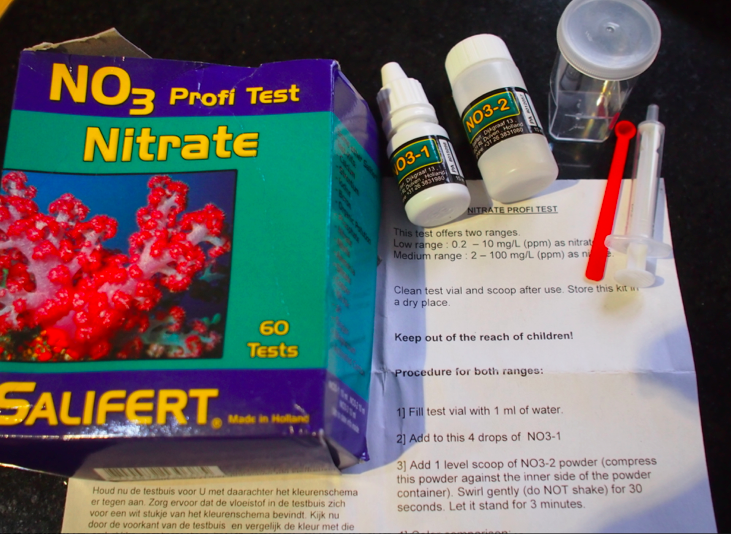 A positive test for Nitrates using the Protimeter salts analysis kit but is it fit for purpose? 1. You must have a rising damp moisture profile. That is a profile that is wetter at the wall base but gradually decreases with height to a theoretical maximum height of circa 1.5m. 2. You must prove that moisture is present at depth in the masonry and it is not enough to take surface readings from the plasterwork. You will need deep wall probes or a calcium carbide (speedy) meter to confirm this on site. 3. You will need to confirm that nitrates are present in the damp apex of your moisture profile. This will involve doing on site analysis or sending a sample off to the labs. You might have noted that I’ve ignored chloride salts because these can be present in tap water or building materials. A positive test for nitrates confirms that the moisture has leached up from the soil. The Academic Description for Rising Damp is Wrong! The purpose of this article is to right another wrong with regard to the academically accepted principle for salts analysis. If you note again the requirement to prove the third condition, the need to prove that Nitrates are present in the damp apex of your moisture profile. This requirement stems from the fact that Nitrates are present in the soil so if moisture is leached up from the soil then it stands to reason that the moisture contains Nitrates. 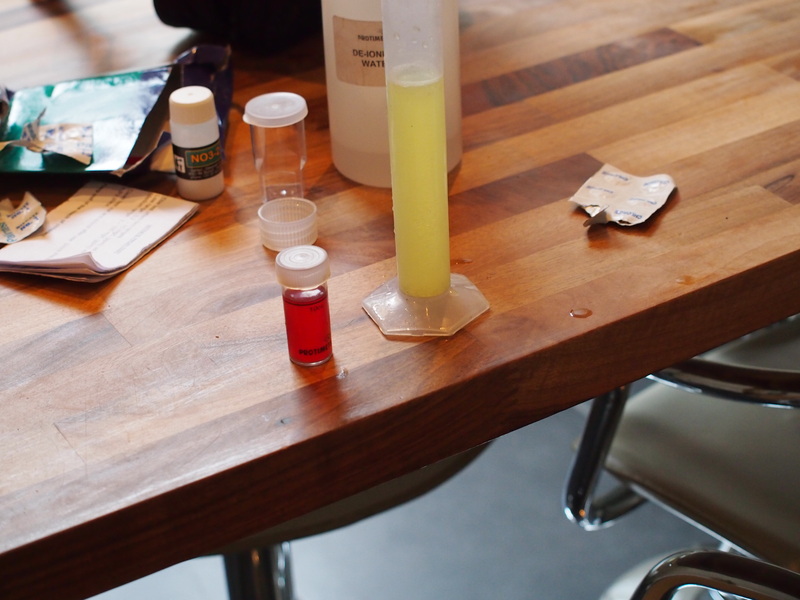 Personally I have always used the chloride test very little since it has extremely limited value in the course of most damp investigations and it is a test that has always been of zero value for the diagnosis of rising damp, simply because we know that chlorides are present in tap water so a positive test for chlorides does not help us determine the source of moisture. 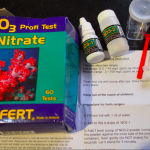 The Protimeter test for Nitrates appears to be less discriminatory than the test used by freshwater fish enthusiasts since it will turn cherry red and give a simple positive result with no clue as to the level of Nitrates present. I was uncomfortable with this and decided to contact the technical team at Palintest to ask them how discriminatory the Nitrates test was? ‘Your question is a good one. I’m afraid you won’t ever be able to be certain that the nitrates don’t come from the tap water. The test doesn’t know the source of the water, it’ll just react to any nitrates present. You’re also correct that the limit for nitrates is 50mg/l. 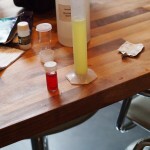 What I would recommend is to test the tap water on the site to test the ‘baseline’ nitrate level. 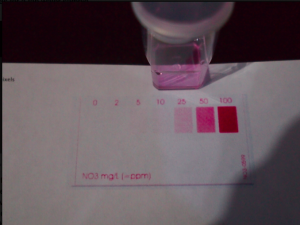 If your ‘real test’ is higher than this, you can be sure that some nitrate is coming from the rising damp. If it’s less or equal to the baseline though, you aren’t going to be able to tell. In this image you can see where I have obtained a positive test result for Nitrates at a level of around 25mg/l but this was for a tap water sample. 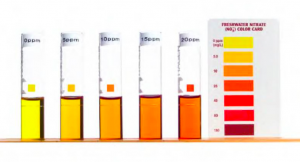 My trials and research with this alternative test method are still ongoing since rising damp is incredibly rare and to date I have only obtained negative results from walls and positive results from tap water. 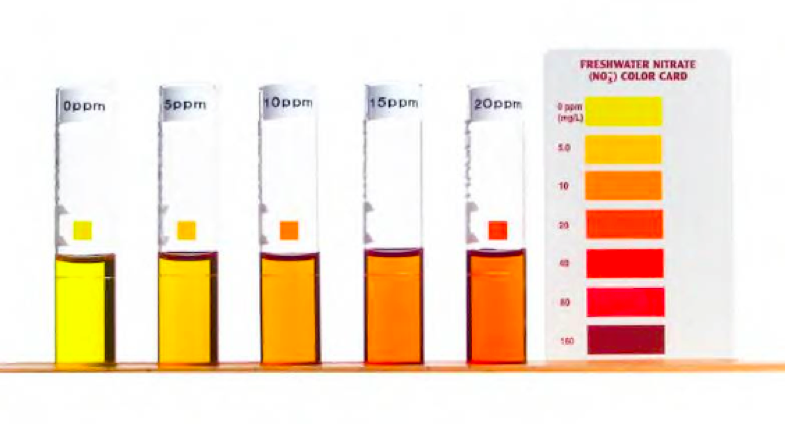 I will need substantially more time to evaluate the effectiveness of my alternative Nitrates test but what is clear is that an alternative test is needed or some refinement is needed in the Nitrates test kit currently used by most building surveyors or damp investigators. Excellent article, and it does pose some issues for any of us surveyors who happen to do defects analysis. I rarely do this, concentrating on building surveys, which of course are only a snapshot of the condition of a property. I am not sure that I have ever come across an instance of true ‘rising damp’. Plenty of penetrating damp, and one house last week that appeared to have damp to the walls, but more likely due to a previous water leak from above, that was trapped by the dpm. The client of course though of ‘rising damp’. 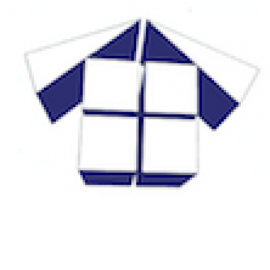 A client should always seek the advice of an unbiased professional, and damp often takes some time to diagnose, and as I advise clients, sometimes a small level of damp may need to be tolerated. It depends on the severity, and the effects. There can be something of a public hysteria about ‘rising damp’. I have a defects analysis visit shortly for damp, and I am wary that there is going to be an easy diagnosis or solution. As an independent surveyor working in the field of damp and timber infestation I find your article quite insightful however, from my perspective, I am usually looking to determine whether plaster is contaminated with hygroscopic salts; I find salt tablets very useful in helping me advise my clients whether there is a need for re-plastering . Clearly I am also looking to determine the cause of dampness and, have to say, in my experience, that an original damp proof course ‘fails’ due it’s negation rather than abject failure. I prefer to say that DPC’s are compromised as as opposed to describing them as failed, and I’ve yet to see any evidence whatsoever that physical DPC’s fail. I’m of the opinion that issues with hygroscopic salts are over stated. If the plaster is sound then we simply advise brushing those salts away and would never advocate replacing sound plaster purely because of salts.